The most common reasons for boat accidents are capsizing, collision, and flooding. Alcohol use is one of the biggest factors for boat accident deaths. The most common injuries in boat accidents are concussions, scars, broken bones, and back/neck injuries. How Do You Turn A Boat Accident Into A Boat Claim? How Will I Know If My Boat Accident Claim Will Be Successful? Want To Know More About Illinois Boat Accidents? The most common accident types included capsizing (over 4,000 incidents reported in 2014), collision with another boat (over 900 incidents reported in 2014), flooding (over 400 incidents reported in 2014), and collision with a fixed object (over 400 incidents reported in 2014). The 5 most expenses boat accident types by damages were the following (starting with the most expensive and ending with the least expensive): capsizing, collision with another boat, grounding, fire/explosion, and flooding. The biggest contributor to boat accidents in 2014 was operator inattention followed by improper lookout and operator inexperience. The biggest contributor boat deaths in 2014 was alcohol use followed by operator inexperience and operator inattention. The biggest contributor to boat injuries in 2014 was operator inattention followed by improper lookout, excessive speeds, and alcohol use. By far, the most deaths and drownings occur in accidents involving open motorboats followed by canoes, kayaks, and cabin motorboats. The most common injuries in boating accidents are: concussions, broken bones, lacerations, bruises, hypothermia, and sprains. The most common boating citations in 2014 were for wearable PFD's, alcohol use, PFD age violations, and operating an unnumbered watercraft. The most common boating warnings in 2014 were for failing to cover batteries, operating an unnumbered watercraft, failing to have a fire extinguisher, and operating a boat without a horn or whistle. The most common causes of death in boating accidents are drowning , trauma, and hypothermia. The most common causes of boating accident injuries are collisions with other boats, collisions with fixed objects, being hit by a boat, alcohol use, operator inexperience, and rough waters. The most common injuries in boating accidents are head injuries, lacerations, internal injuries, broken bones, and back injuries. Itemize all of your expenses. Make note of your changes in lifestyle. List all of the people involved in the incident. Write down all of your memories about the accident. Completing these simple tasks will make it easier for you to turn your Illinois boat accident injuries into a successful boat accident lawsuit. If you work with an experienced Illinois attorney, he or she will recommend others but this is a great start. Am I going to win? After clients ask us how much their case could return, they normally as us this question-will they win. While it is very hard to predict at the onset of your suit with 100% certainty if you will find success in court, there are some indicators of how you will fare. First, were you involved in the events which led to your injuries? If you were drunk or otherwise reckless at the time of the accident, then this could dampen your ability to recover. Second, was the incident caused by a faulty product? Defective items such as boat parts can be a sign that a manufacturer or designer was irresponsible and that you should recover. Third, was the boat operator acting unreasonably? If the person was negligently driving the boat, then you might be able to achieve success in court for your injuries. There are other signs that you should watch out for but these are some of the most important signals to keep in mind when considering a lawsuit. 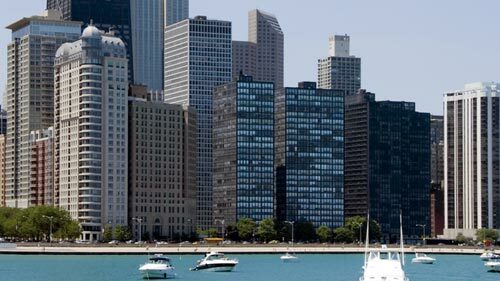 Our team at Rosenfeld Injury Lawyers LLC works with personal injury victims across Illinois including those affected by boat accidents. We can help you on a contingency which ensures that you won't have to pay for any cost or service unless you are happy with the recovery. Want to hear about your future award? Give us a call today and someone from the Rosenfeld Injury Lawyers LLC will be happy to speak with you.